This is it: the one and only Fast and Easy Traffic School®! Don’t settle for imitations. Our Fast and Easy Traffic School®, Defensive Driving Course, and Basic Driver Improvement Course (BDIC) are all fully guaranteed to be the fastest and the easiest or your money back. 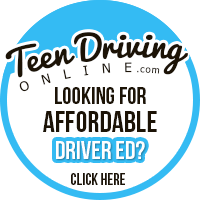 Whether you choose our Fast and Easy online traffic school or our workbook course, we will provide you with the best traffic school, defensive driving course or Basic Driver Improvement Course experience available. How can you be sure? Simple. If you don't believe this is the easiest and fastest traffic school, defensive driving course, or BDIC you've ever attended, we'll refund your money. It's as easy as that. 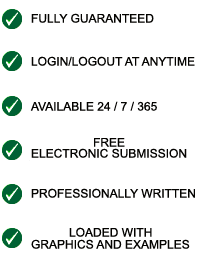 See Our Guarantee. Professionally written to be as clear and concise as possible. Guaranteed to be the fastest and the easiest traffic school. 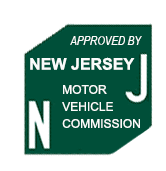 Fully licensed by respective DMVs, MVCs and Departments of State. Loaded with graphics and examples to make learning fun. Fast and Easy Traffic School® is the only online traffic school, defensive driving course, and Basic Driver Improvement Course guaranteed to be the fastest traffic school and the easiest traffic school or your money back. Our mission is to maintain an easy, simple, and quick traffic school that is both interesting and affordable. Our cheap and fun traffic school course often uses humor to illustrate driving techniques, situations and skills. Not only will this easy and cheap traffic school make you a better driver, it may even make you laugh.